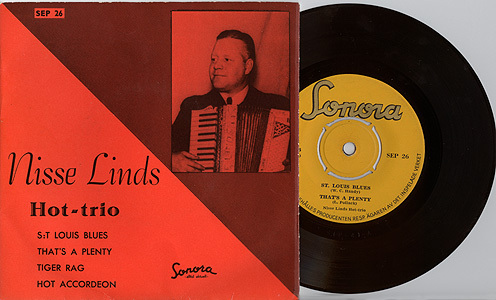 Biography: Nils Einar Lind, born in Stockholm 1904, died 1941. Jazzmusician (acd and p), bandleader and composer. Sweden´s most popular accordeonist. Record info: Some nice improvisations!